At first glance, there would seem to be few similarities between the city of Hollister and the popular southern California surfing spot that bears the same name. The city, after all, is a small, rural community about 40 minutes from the nearest beach, known by some for its dried apricots and hand-made chocolates and others for its off-road recreational spots and a motorcycle rally which annually brings thousands of bikers into town. On the other hand, Hollister Ranch lies along a stretch of private coastline in Santa Barbara County, and although it is near some of the most developed areas in the state, the Ranch itself is pristine - a handful of multi-million dollar homes dot the bluffs above the beach while the coastline is abundant with quality points and reefs which lure surfers searching for their next perfect wave. Today, the popularity of Hollister Clothing Co. - a clothing brand specializing in SoCal surfer apparel (mostly jeans, T-shirts and sweatshirts) has created confusion between the identities of the two communities. The clothes are designed to reflect the Ranch's casual surfer image, and all bear the company's seagull logo - a far cry from the large California Condors associated with San Benito County's Hollister. A look at the history of the two communities, however, reveals a common bond - a shared founder who left his name on both areas. There are other cities in America named Hollister - Idaho, Massachusetts and Missouri each have one - but only California's Hollisters share the same founder. William Welles Holllister was born to John Hollister and Philena Hubbard in Ohio on Jan. 12, 1818. He was one of at least six children, and was a somewhat sickly child. When he was 15, he attended Kenyon College in Gambier, Ohio, although his health prevented him from going full-time. After his father died, Hollister left college and became a farmer until 852, when he sold his farm and purchased approximately 300 head of cattle which he promptly took to California. The next year, Hollister persuaded his sister, Lucy A. Brown, who had become wealthy thanks to the death of her husband, to help him purchase another 200 head of cattle and nearly 10,000 sheep for a second trip to California. "She had all the money," said Earlene McCabe, a docent with the San Benito County Historical Museum. "He came across the country with his sister and brother and along the way, met up with the Flint-Bixby party, which was also driving sheep." Both parties took a southern route from Salt Lake City in order to avoid the winter snows of the Sierra Nevada. They pastured their flocks for a year in southern California, near what is now Santa Barbara. "Hollister saw that land and just fell in love with it," McCabe said. "But it wasn't for sale." Instead Hollister, who by now had dubbed himself Colonel, headed north. "He bestowed the title on himself," McCabe explained, "which was not an uncommon practice at that time." Hollister's party ended up here in San Benito County, and discovered that Don Francisco Perez Pacheco was selling what was known as the Rancho San Justo land grant for $25,000. Hollister wrote to Dr. Thomas Flint, head of the Flint-Bixby party, telling him of a sale of "beautiful land that was great for sheep," McCabe said. Flint-Bixby and Company bought the land in October, 1855 with the understanding that Hollister would buy a one-half interest in the property in 1857. Rancho San Justo was held jointly by Flint and Hollister until 1861, when the pair disagreed over a business matter and dissolved their partnership. Flint took all of the land east of the San Benito River while Hollister took the land west of the river, including what is now known as the San Juan Valley. In 1862, Hollister married Ann James, daughter of vigilante leader Samuel James. The couple built a home at the base of a small hill known today as Park Hill. Flint's home in San Juan Bautista today is the St. Francis Retreat. "Hollister's home was built right where the old Fremont School stands today," McCabe said. "It's my understanding that Ann's Alley, on the south side of Fourth Street, behind the county offices and crossing Briggs Alley, is named after Hollister's wife." Shortly after his marriage, Hollister decided he had been slighted in the dissolution of his partnership with Flint, and asked for a $10,000 damage settlement. Instead, Flint offered to trade land holdings if Hollister paid him $10,000. Hollister agreed, and the two men swapped land. In 1868, Hollister decided it was time to head south to Santa Barbara. He sold his holdings in Rancho San Justo - a total of 20,773 acres - to the San Justo Homestead Association for $370,000. "He owned so much land that when he was ready to leave, no one else could afford to buy it all on their own," McCabe said. "So the association bought it and sold homestead lots." Approximately 12,000 acres was divided into 50 homestead lots of about 172 acres each; about 100 acres were reserved for the town itself and were bounded by North, East, West and South streets. About 8,500 acres were reserved for future sale and the remaining property was parceled out and sold as farm units. When it came time to name their new town, the founding fathers were anxious to get away from the Spanish names given to most of the towns cropping up in the area, such as San Juan Bautista and Tres Pinos, McCabe said. Instead, they chose the name Hollister, after the man who had sold them the property. Hollister took the profits from the sale, and earnings from his sheep business, and along with Annie and his herd, began the trek to the area he loved. Today, Hollister Ranch is a private land holding of about 14,000 acres along the coastline of Santa Barbara County. It is divided into 100-acre parcels where multi-million dollar homes reside, although much of the land remains undeveloped. In many spots, the land looks the same as it did thousands of years ago, when the Chumash Indians built at least two settlements there. Colonel Hollister, in partnership with Thomas and Albert Dibblee, purchased about 26,500 acres shortly after his arrival in the Santa Barbara area. The partnership was dissolved in 1881, with Hollister taking the coastal ranches, including what is known today as Hollister Ranch. "What makes a fellow look at a piece of property and say 'This is it. This is where I want to be?'" McCabe said. "We don't know why Colonel Hollister chose this particular piece. It was just a nice piece of property - green, shaded, removed from town." Hollister and Annie built a home on the property and raised their family of six children there. Hollister's sister Lucy had moved to Santa Barbara with them, and lived with the Colonel and Annie in their home. It was not a pleasant experience, McCabe said. "Lucy felt that her brother had married beneath him," she said. "Eventually, it got to the point where Annie told her husband he had to choose between her and his sister. He handled it very tactfully, I think. He built Lucy her own home on the property." During the 1870s, Hollister, who was now well off financially, made many contributions to the Santa Barbara area. He helped develop many different institutions, including Santa Barbara College, the Arlington Hotel, a local newspaper and the Lobero Theater. "He pretty much built the town of Santa Barbara by himself," McCabe said. "I like to liken him to the big money people who helped develop San Francisco." In spite of his successes, McCabe said personal tragedy seemed to follow Hollister and his family. Two of William and Annie's children died - a daughter in infancy after a fall from a stroller, and an adult son died from influenza. Another son became an alcoholic and was "paid by the family to stay away," McCabe said. Another daughter married a man who her father felt was beneath her station, and she was no longer accepted by her family. Hollister died in 1886, and his now expansive holdings were left to his wife, Annie, all of his children except the two he had disowned, and an illegitimate child he had sired years previously. His sister Lucy was left nothing, not even the house in which she was living. "She couldn't believe it when the will was read," McCabe said. "She was the one who got him started; it was her money that made everything possible. She said 'no, no, this is not right. He can't give everything away.' But she got nothing." A resolution by the Santa Barbara County Board of Supervisors to have the land developed into a national seashore was denied by the Department of Interior in 1969. Title passed to the Mortgage Guarantee Company in 1970, which came up with the idea to divide the ranch into 135 parcels of about 100 acres each, saving about nine miles of coastline for common ownership. The parcels were designated for agricultural use or personal residence only, and today, the Hollister Ranch Owners' Association manages the multi-million dollar homes overlooking the Pacific Ocean. In the 1950s, the Hollisters allowed the region's Sportsman Hunting Club to have access to its land. The club was later divided into smaller clubs, including a surf club headed by a local surfer named Reynolds Yater. Yater and his friends found the surfing at Hollister Ranch to be ideal, and since then, because the coastline is privately owned, many a surfer has tried to sneak his way in. Its limited access has added to Hollister Ranch's legendary status, and has helped the area become a major part of Hollister Clothing Co.'s allure. The city of Hollister was incorporated in 1872 and became the San Benito County seat two years later. In 1880, its population was 1,000 residents; today, almost 48,000 people call Hollister home. In spite of its growth, however, Hollister remains a mostly rural community, with agriculture and ranching two of its biggest industries. Aside from the sharing of the name, McCabe said there is no real similarity between the Hollister of San Benito County and Hollister Ranch in Santa Barbara County. "He was a much bigger name down there than he was up here," she said. "Really, we just took his name is all. He didn't leave much of an impression here." For those interested in learning more about William Welles Hollister or the history of the city of Hollister or Hollister Ranch, the following sources were used while researching this story: the San Benito County Historical Society (www.sbchistoricalsociety.org); Surfline (www.surfline.com/surfaz); Land Use History (www.hollisterranch.org) and Hollister Clothing Co. (www.hollisterco.com). Opening a Hollister Clothing Co. store not likely here right now, but local merchants can still benefit from the name recognition. If you can't beat them, try joining them. Although a decision is far from being reached regarding the Hollister Clothing Co.'s claim to the name Hollister for its merchandise, here in San Benito County, some city officials and business owners seem perfectly willing to give the company its way. As long as there is some benefit locally, of course. "People do think there is some opportunity here," said Jeff Pyle, Hollister's Economic Development Coordinator. "Exactly what that opportunity is yet, we don't know." The two Hollisters - the city and the clothing company - have been in the news since city officials raised concern over the company's trademark of the name "Hollister" for its clothing. Now, however, some locals are wondering if the city of Hollister should find a way to take advantage of the clothing company's increasing popularity. One possible idea is opening a Hollister Clothing Co. store in downtown Hollister. The store's popularity with teens could bring shoppers into town willing to spend money not only on clothing but other merchandise as well. Brenda Weatherly, executive director of the Hollister Downtown Association, said she receives several calls weekly asking if the city is associated with the clothing company. "I've heard of people driving to town to have their letters postmarked here at our post office because they are so in to the name," she said. However, Pyle said bringing the company into town could be a difficult undertaking. "I think it's a great idea," he said. "But realistically, the question is could it be done? I think it would be a stretch." Hollister Clothing Co. is a subsidiary company of Abercrombie & Fitch Trading Co., an Ohio-based clothing manufacturer. There are currently 399 Hollister Clothing Co. stores located in the United States and Canada, and plans call for an additional 50 stores to be operational by 2009. While California is one of Abercrombie & Fitch's desired expansion locations, Hollister itself most likely does not fit the bill, Pyle said. "They have specific target areas, and they want their stores to be located in malls," he said. "We are not exactly what they are looking for." There are seven Hollister Clothing Co. stores within 50 miles of San Benito County, all in large regional malls such as Northridge in Salinas, Oakridge in San Jose and Valley Fair in Santa Clara. Each of these locations meets certain benchmarks set by Abercrombie & Fitch as a desired location, including population (a minimum of 50,000 per city), median age and median income (about $65,000 per household average income). East San Jose, for example, is home to Eastridge Mall and a Hollister Clothing Co. store. In 2006, its population was 522,877, with a median age of 31. A little more than 13 percent of its population fell into the 6-13 year old age bracket and almost 6 percent was in the 14-17 year old age bracket, two of Hollister Clothing Co.'s target groups. The median household income was $73,962 and department stores such as Hollister Clothing Co. earned almost $2 billion. Figures are based on residences within a five mile radius from Eastridge. By comparison, Hollister in 2006 had a population of 47,986; its median age was 29 years of age. While 22 percent of the population falls into the target age bracket, other demographics fall short. The median income was $62,258 per household and revenue from department stores (mainly Target) was listed at a little more than $127 million, a far cry from the billions spent in East San Jose. "When you look at what Abercrombie & Fitch want, Hollister just doesn't fit in realistically," Pyle said. "National retailers have benchmarks they want to meet before coming into a community. I just don't think we are a large enough market right now to offer them what they want." This week, Pyle had a conversation with Jeff Sinkey, a senior vice-president for real estate with Abercrombie & Fitch, regarding the possibility of locating a Hollister Clothing Co. store here in Hollister. While he knows he do not fit into their typical demographics, Pyle said he told Sinkey that the city is "definitely in a retail recruitment mode" and asked if Sinkey would think about "how this could work for them to become a part of the original, one and only Hollister, California." Since opening a Hollister Clothing Co. store doesn't appear to be a viable option at this point, Pyle said, there are other ways local merchants can benefit from the ongoing identity crisis, including having quality goods and services available to willing customers. However, Pyle said he does intend to follow up with Abercrombie & Fitch "soon." Demographic, population and company data was supplied by Hollister's Economic Development Director Jeff Pyle and the Abercrombie & Fitch Company Web site. The eyes of the passengers were glued to the portholes and observation domes. They had all seen the original video and the computer graphic version of what the waves might look like . Now the real thing was only two hundred feet below them. Victor Sanchez was all business at the sluggish controls, keeping the Skyhook in an easy circle while his wife gave him a final set of observations and clearance to set down. “Affirmative, Victor. We’re go,” said Owens. Victor Sanchez had executed hundreds of open ocean ‘landings’ with the Skyhook in the prevailing southeast trades that blow across most of Polynesia. The only variable was timing his final approach and splashdown between the sets, so he waited until the last wave of a set began to break at the southern end of the reef before setting up the Skyhook ’s final approach and aiming for the shelter of calm water in the lee of the reef. Two minutes later, the seaplane’s V-hull sliced into the sea about a hundred yards from the entrance to the lagoon at the northern end of the reef. Sanchez quickly throttled back to maneuver the Catalina towards her anchorage. It was a textbook execution of an open sea landing in a large groundswell, and he brought the Skyhook to a rest exactly as planned. Surf season in the Southern Hemisphere began with arrival of the first swell at Bell’s in the hours just after the contest ended. Those waves came from the lead storm of a series of low pressures coming up to full winter strength while whirling around Antarctica like spinning tops. For days the surf grew steadily, as did the storms, until one broke out and up into the Roaring Forties and metastasized into a major surf producer. At its birth in the Indian Ocean twelve hundred kilometers south-south west of Australia, the system produced waves that lit up the reefs of Indonesia. The storm rolled eastwards in a path comparatively close to the Antarctic continent, broadcasting swells all across the southern coasts of Australia and New Zealand. The core winds weakened a little when the low slowed its eastward motion for almost twenty hours south of New Zealand. There it sat until a jolt of energy from cold Antarctic winds powered it up again. The result was unusual. One day the surf was only two to four feet along the eastern shores of Australia. The next day it was twelve to fifteen feet. The surf report companies completely blew the prediction. Intermittent technical delays often caused a full twenty-four hours to elapse between satellite snapshots. Hence, surprise was still a factor when it came to surf in the Southern Hemisphere, and this swell was a prime example. After shocking surfers up and down Australia’s east coast, the storm resumed its march eastward loaded with wind. The “coconut grapevine” began to hum all across the Pacific, thanks to cell phones and satellites, with a simple message: drop everything and go to the best surf spots because great waves were on the way. Hundreds joined the frenzy, including Heath Larson. With a phone call from a friend in Australia, Larson was alerted immediately when the surprise swell hit Australia on the last Sunday in April. He had done some data mining to get the information about what had produced the surf in Clark’s video. He knew what he was looking for. He quickly checked the US Navy Wave Action Model site – and saw almost the exact same swell pattern. Despite his considerable intellect, Larson succumbed to the siren call, “Surf’s up!” A surge of anticipation washed through his brain, a feeling known only to surfers when the anticipation of great waves overpowers all reason. His eyes lit up with energy and euphoria. He knew the Wavelife-Skyrider agreement didn’t kick in until June 21. But all the jetskis were waiting in Tahiti and Mac Owens had completed all preparations, including the electric hoist system, necessary to turning the Skyhook into a floating expedition base camp. There were no technical issues that would preclude the run to the reef. So he knew exactly what to do. But when he picked up the phone, his euphoria met its first challenge. Cheryl Corlund was too busy running the Easter event at the shelter and had no time to talk to him. And he had no way to contact Clark on Sunday, so he did the next best thing. He skipped Clark and went straight to the people he’d need to get to the reef. But again, he struck out when he called the offices of the Skyrider Foundation, only to be told that the Skyhook wasn’t home. And then he slapped himself in the forehead. He remembered Owens telling him that they’d be ferrying a selfcontained medical clinic around the outlying atolls of the Tuamotus on a UN grant to check for genetic anomalies in new-borm Polynesians that could be traced to atomic testing by the United States and France. But then his luck changed and he was able to call the Skyhook direct and got Victor Sanchez over the radiophone patch through Tahiti. Heath Larson appreciated Sanchez being direct, but he could think of nothing in reply. Then he thought about Sanchez’ last sentence for a second. Clark was listening to the message without letting it distract him. He was always ‘in a meeting’ when calls came in. But at the mention of the Skyhook, he picked up the phone. Clark quickly interrupted the conversation. Clark’s clear thinking turned to anger. His end was none of Larson’s business. Larson didn’t know what to say except simply answer the question. “Just fine, Ben, just fine. Looks like it’s gonna be a beautiful summer. You should come over sometime. We’ll hunt pigs and have a luau for you,” he said, making some friendly small talk to get back in synch with Jeffries. “Same to you Ben. Bye!” he said cheerfully, having thought of who he could call next . Larson knew Cheryl had just told him something important between the lines but off the top of his head he didn’t know what it was. “No, that was it. Sorry to take up your time, Cheryl,” he said. “Will do,” said Larson. He clicked off his cell, and broke down the problem. He needed the Skyhook, but he’d have to pay for it himself while convincing Victor Sanchez to take his money. Then he remembered why Sanchez was flying charters in the first place. The top real estate agent on the island didn’t waste words. Sanchez pressed a button on the headset. There was a sudden increase in the volume of the engines as now two microphones were picking up the roar of the Pratt and Whitney turbo props. “Got it! Hello Heath, how are you?” said Tina Sanchez. Then the volume of the engines was halved as Victor clicked off. She instantly knew what he was doing, because they both knew that when it comes to running non-profits, money doesn’t just talk, it screams. “That’s brilliant, Heath, and for such a good cause! My wife has always wanted to own a time share in Hawai’i, so I guess our partnership in Sartre will now extend to the hills of Maui. Who do I make the check out to?” said Ben Jeffries. “Yes, Heath, what is it?” said Aleja Gracellen in a strictly business voice sitting behind her desk at the shelter. Her composure had no chance against visions of perfect waves. “Uh, no, there - - -, wait a sec, let me put you on hold ok? I’ll be right back,” she said, hitting a preset on the phone. “Cheryl! Remember our deal about the May Day event? I hope so, ‘cause I need you to take over for me, ok? Thanks!” Click. Surfing’s premier jet ski and safety expert had exactly the answer Larson wanted to hear. Bob Rowe was once a premier surf photographer who had been crowded out of the field by a new generation of auto-focus wanna-bes who worked dirt cheap. He was now a L.A. County lifeguard but did the occasional freelance for the mainstream outdoor magazines because they paid him what he was worth. Larson knew what he was worth. “Tina Sanchez keeps us flyin’, that’s all I know,” said Owens, circumspect about his boss and her financial acumen. Bruddah and Sonny-boy looked each other, knowing Larson was trying to get back in total control. The two Hawaiians looked at Larson, with deadpan faces, and then all three started laughing. The Skyhook arrived just before dawn outside the harbor where a fishing boat was waiting with eight people, ten surfboards, and a good number of equipment cases . It took a good half hour to methodically load and position everything for the flight to the reef with Mac Owens giving directions. Finally the cargo and passengers were ready, the engines roared to full power, and Victor Sanchez got her slowly in the air and soon she was heading straight towards a weak sun rising higher in the east. By the time the sun was overhead, the Skyhook was once again floating on the Pacific Ocean. Noaloa, Gracellen, Mercante and Clark were too stoked to notice that Bruddah, Heath, Laine and Rowe were not saying a word. They knew what they were looking at. Larson finally put it into words. “Huh?” said four incredulous voices. “So now what, Heath?” asked Bob Rowe. Rowe and Laine knew they were not a part of this conversation and retreated to the ‘sunroom’ in the aft section of the plane. Bruddah kept an eye out the porthole, but he gave Larson a look and shook his head. The next set began to break at the far end of the reef. It was hard to tell exactly how big it was. Soon the set was breaking from one end of the reef to the other, and the Skyhook was starting to rise and fall from the swells in lee of the reef. He waved his hand around the compartment. Victor and Tina Sanchez had joined the group, and Mac Owens was standing in the bulkhead passageway. As usual, Tina Sanchez spoke up immediately after her husband’s frank appraisal of things. “Yes, maybe the wind will change,” said Clark, looking for something, anything to get him off the hook. “Yes, that’s true, maybe the wind will change,” said Larson was a hint of sarcasm and a look at Bruddah. “Then you’d better git out there right now, Heath,” said Mac Owens. Larson gave his best friend another look. This time there would be no joking around as the minds of the two men met eye to eye to consider the situation. Nobody said a word, and when Bruddah spoke, he was talking to no one but Heath. The Chinese fire drill proceeded apace. Victor Sanchez monitored the weather radar and kept the engines idling while Tina Sanchez was on anchor watch to help him keep the Skyhook from swinging around during the sets. Mac Owens, with Mercante’s help, deployed three Yamaha SUV Waverunners and fueled them. Bruddah fired up all the engines and Larson went through the electronics. Sonny-boy set up the boards and tow ropes and Gracellen got all the suits, safety vests and helmets organized. Laine and Rowe double checked all the emergency medical equipment and then got the cameras set up. Ian Clark went to ‘sunroom’, opened the port-side dome, jumped up on the fuselage and climbed high onto the center of the broad wing. From there he had a clear view of the entire reef, an elliptical stadium of energy almost a mile long and three-quarters of a mile wide. He saw the trade wind chop, and he remembered his spur-of-the-moment story about offshore winds was based on nothing more than his needing a check with a lot of zeros on it. Now he was facing the possibility it might not be written at all. Then he thought of L.J. Merrill and realized he’d better stop thinking. Larson and Bruddah had spent the entire flight from Papeete explaining his part in the whole thing, and it was time to get ready. He opened an aluminum case and powered up a high-speed laptop modified specifically for use with a personal locator beacon system. Every person on the water would wear a small transmitter and their positions would appear on the grid coming up on the screen in front of him and on digital displays on the waverunners. His computer also served as a radio unit to monitor and communicate with all the jetski drivers and with the Skyhook . It was the ultimate safety setup, and he felt the irony of being the guy in the middle of it all. The three waverunners motored slowly away from the seaplane and out through the northern entrance of the lagoon. Heath and Bruddah were on unit one for tow surfing and rider retrieval and Laine and Rowe got unit two for safety and documentation. Gracellen and Noaloa had put aside their differences and were becoming fast friends in the face of the challenge of sharing driver duties on number three to gain experience with the big Yamaha in real conditions. The fourth unit was tethered to the cargo bay, ready to go in case of an emergency. The wind had not increased, but the chop was undeniable. When they were well outside the impact zone, each driver went through a five minute double check of all on-board systems, including a comm check with the Skyhook and Clark. With all the locator beacons communicating with the laptop, everything was ready. Heath Larson was wearing emergency orange from head to toe: thick reef walker shoes, a lightweight wetsuit with padding around the knees, hips and elbows, and a thick lifevest. His helmet didn’t have a radio, by choice. He didn’t need the distractions, especially if he was inside a wave seeking perfect solitude, and so he had to raise his voice over the roar of the waves. The big Hawaiian pulled his visor down and gave her a thumbs up. She turned to Laine who returned the signal. Noaloa and Rowe signaled their readiness, and Larson tapped Bruddah on the shoulder. They eased out into the open ocean as Bruddah slowly opened the throttle, mindful of the aviation fuel in the tank. Laine waited a few seconds, and then followed about twenty yards behind and ten yards to the left of the lead ski. Gracellen waited, then brought up the rear, maintaining the angled formation that precluded any collisions if a ski suddenly failed for any reason. They came around the east side of the reef and rode up and over the large rolling swells well away from the surf zone. Clark monitored their positions on his screen, and at five second intervals he pushed a button on his control console to establish the outer perimeter of the personal locator grid system as the formation did a complete ring around the reef and arrived back at their starting point near the northern entrance to the lagoon. Clark’s computer processed all the gridpoints to establish a coordinate system, and a grid of concentric rings was now displayed on not only Clark’s computer, but also the displays on the consoles of each waverunner so that no matter where a surfer went, either riding on a wave or being swept underwater after a wipeout, the system could pinpoint the position of the personal beacon in an arena as large as twenty football fields. When the formation arrived back at its starting point, the drivers moved in close so that Larson could clearly hear every word of the designated spotters, Bob Rowe and Sonny-boy Noaloa. Larson now had baseline perspectives from the two people who had never taken their eyes off the waves. He was ready to hear more. “Barbie gots it right, brah. Maybe fun you get one. Not so fun it gets you,” he said, and Larson knew that safety was on Bruddah’s mind above anything else. He turned to the best jetski safety guy in the world. “Holding steady at five knots, but I don’t know what its going to do. I wouldn’t count on it for much longer,” said the voice of Victor Sanchez. “Ok, two dry runs down the rights. Formation at wave-crest intervals. Here we go.” Larson tapped Bruddah twice, and this time he opened up the throttle to seventy percent. Gracellen and Laine formed up at the same angle and followed him to the take-off zone. When they were all off the extreme southern tip of the locator grid, Bruddah led them in a wide circle to meet a new set. He set up on the second wave, staying out on the unbroken shoulder of the wave and concentrated on nothing but maintaining a course well away from the impact zone. Larson did nothing but watch as the swell felt the reef and the face steepened rapidly until its peak pitched forward into a breaking wave. Laine and Rowe did the same on wave number three, followed by Gracellen and Noaloa on number four. She had never seen anything like this in her life and she looked to Sonny-boy for some assurances. The drivers all stayed with their waves until they reformed back into rolling swells at the north end of the reef. Bruddah led them back up to the takeoff zone and the process was repeated on the next set of waves, only this time, they drove all the way to the Skyhook to take a break and talk things over. Victor Sanchez poked his head out of the cockpit window and gave Larson a thumbs up. He pulled back in and then Tina Sanchez did the same and pointed to the cargo bay where Mac Owens and Roberto Mercante tossed bottles of water to everyone. There was a lull in the waves, and everyone let their guard down a little to relax. Everyone except Heath Larson. Clark paused. He wanted to say “Overwhelming!” but thought better of it. Ten seconds later, Laine had answers from Victor Sanchez. She turned around and playfully slugged the former world champ in the arm. Once again, her spirit loosened things up for the men. The first wave of a new set exploded at the far end of the reef, and Heath Larson threw the handle of the tow rope out into the ocean. He checked to see that it was securely attached to the tow pillar on the back of the waverunner. Roberto Mercante slid a tow-board out of the cargo bay into the water. It was bright orange with yellow stripes around the rails for easy visibility. Larson dove off the ski, positioned his feet in the safety straps and grabbed the towrope handle. Bruddah looked over his shoulder and motored forward slowly. When the rope went taunt, he and Heath played a quick game of tug-of-war to insure the integrity of the handle, the rope and where it attached to the waverunner. Everything was a go, and Heath Larson was ready. “Geevum brah!” he shouted, and Bruddah rolled on the power. The waverunner’s big engine had horsepower to burn and Larson popped up out of the water like a water skier, a move he and Bruddah had perfected over the course of many years working together. Bruddah looked back, Larson nodded, and Bruddah headed for the takeoff zone. Laine and Rowe got going and followed Bruddah up the reef. Gracellen and Noaloa motored slowly to their station to wait for Heath’s first ride. Bruddah had his eyes on the horizon, turning in a wide circle to maintain speed while waiting for the next set of waves. They didn’t wait long. When the first swell hit the reef, Bruddah was nowhere near it. He had studied the sets, and it wasn’t until the last swell of the set approached the reef that he swung around and lined up an approach. He came in wide as the wall formed up into a centered peak over the reef. He glanced over his shoulder and Larson signaled for a launch. Bruddah rolled on full power and carved a hard turn away from the wave. Heath Larson came around in a whipping arc going almost forty miles an hour. At the apex combination of speed and angle, he let go of the tow rope to match the speed of the wave with a margin of error before he began to slow down just as the wave stood up. He began gliding down the face of the rolling hill of water. No longer tethered to the machine, Heath Larson was now a surfer in every sense of the word. The muscle memory from countless rides came to life instantaneously. He could see the white water from the previous wave. That told him where not to go. He made a long easy turn away from the impact zone. He angled sharply back towards the energy before turning away from it again to remain in the failsafe zone. Another cutback, another turn, another cutback. His sealegs were strong. He tightened the interval between turns and ran his board through a slalom course of moguls -in-motion across the face of the wave. Bruddah was driving the waverunner parallel to Larson’s track about twenty yards out on the shoulder. There was no way Larson would fall, yet there was no way Bruddah ever relaxed when Heath was up and riding. Ten seconds into the ride, Bruddah could see Rowe standing up on the back of the ski with Laine in full readiness at the controls . Rowe was seeing double watching Larson ride the wave. He could see from edge to edge across the horizon of normal vision, from the far left where the unbroken hump of the wave was formed to the extreme right where the wave was exploding across the reef. With a turn of a knob under his right hand, the steadicam mounted on his chest zoomed in to frame Larson alone in a transparent image projected on the inside of the visor. As the wave and surfer moved past them, Rowe hit stop and Laine fell into formation in the trough behind Larson’s wave. Larson kept turning and flowing until he neared station zero two where Gracellen and Noaloa waited. Gracellen had her hands on the controls of the waverunner, but Noaloa was standing up behind her, his arms in the air, cheering loudly as Larson swept into his last turn. Bruddah anticipated his move and got out ahead of him so the tow rope crossed Larson’s path. With the grace of a ballet pas de deux, the two executed a perfect re-connect as Larson picked up the tow rope handle, leaned back, and Bruddah rolled on the power to get them back out to the takeoff zone. Laine set up again at zero five and the entire process was repeated, with one exception. Heath Larson was starting to get stoked on surfing a wave unlike any he’d ever ridden. He began to play with the trade wind cross-waves, at first jumping them as if he was on a skateboard, then banking off them to come around in extra tight turns back towards the maelstrom in the tube behind him. His rhythm was remarkable considering the size of the wave. Had it been at Waimea Bay or Mavericks, even the best surfers would have been racing for the safety of the shoulder. Not Heath Larson. He was, in fact, beginning to toy with the energy as playfully as if he was fooling around at Waikiki on some waist-high rollers. Clark was watching it all from his perch on the wing and the sight of Larson having fun in waves almost four stories high was simply amazing. Noaloa and Gracellen needed no such encouragement. They’d seen Larson surf before, but this was different. To watch a man riding a huge wave out in the open ocean was simply and truly ‘awesome’ in the most powerful sense of the word. And he looked like he was having a lot of fun. Laine and Rowe, too, were transfixed by Larson’s performance. They’d seen it all in more ways than one when it came to cutting edge surfing. But this was a master in his element, and the performance was only beginning. Larson was tapping into power with skills acquired from riding thousands of waves and decades of dedication, his body always in motion while complementing the curves of the wave with pure balance and timing, all the way to a smooth conclusion right in front of Noaloa and Gracellen. He let go of the tow rope and slowly sank into the water. He leaned back and closed his eyes to fully absorb all the sensations of what he had just done. Bruddah waited at a distance, knowing exactly what his friend was doing and why, until he saw Larson’s head come forward and an arm raised, the signal to come get him. Gracellen and Noaloa watched the ritual, as did Laine and Rowe. Then Heath got out of the straps on his board and climbed up behind Bruddah. He was obviously in a special space, but Sonny-boy Noaloa couldn’t wait. “If he gets to go, so do I!” said Gracellen. Larson just smiled at the two surfers, but his first words were to the man who made it possible. “Yeah, and I think its glassing off a bit, Heath,” said Bob Rowe. Laine confirmed Rowe’s observation. Like a race car driver getting the feel for a track after a few laps, Heath Larson felt he could trust the wave to be free from surprises, at least for now. Heath Larson nodded, but with the cross chop dying down and the memory of his last wave still fresh, he was ready to redline. From the cockpit of the Skyhook , Victor Sanchez saw one waverunner coming towards him and the other two heading back out to the other end of the reef. The wind had died down completely, and he quickly guessed what was going on. This was not the plan, and he didn’t like it. His wife, however, was excited to see Heath heading out for more waves. As always she was thinking about the big picture that included not only the endowment fund, but the big payday under the contract with Wavelife. When Aleja and Sonny-boy pulled up next to the seaplane, Mac Owens and Roberto Mercante were in the cargo bay door to greet them. After securing the waverunner to the seaplane, they helped the two surfers onboard so that they could get into their orange “flight suits” and double check their boards. Up on the wing, Ian Clark was happier than he’d been in a long, long time. Larson was shredding the place, Noaloa and Gracellen were going to join him, and suddenly everything was falling into place. And all thanks to a simple shift in the wind. Larson took the whip from Bruddah and headed straight towards the reef. Unlike his initial approach on the previous waves, he didn’t turn away from the building energy. This time he kept going. He dropped down the face as the peak built up high above him. He could see the white water ahead marking the impact zone. He took a last look out towards the unbroken face where Bruddah was driving the waverunner. The chop from the trade winds was almost gone. Caution turned to commitment in the snap of a synapse. He was now in himself, and there was nothing else in the world except mind and energy. Carve a turn hard off the bottom at full speed. Legs like truck springs absorbed the g-forces. Arms out, hands up, and leaned over, knees brushing the surface, slight arch to his back. Slingshot up the face, pause, then casual lean back, assess, then hard cutback to drive straight towards the wave’s detonation point. Hit the base with two seconds to spare. Carve an arc at full speed, board at its design limits. Shoot out and up across the open face, relax. ... and look back at a liquid canopy arching into mid air behind him. Heath Larson was beyond strategy, beyond calculation, responding with infinite articulation to a world of curving power and symmetry. Back to the bottom to gather speed. Another heavy g-force turn to the very top of the swell and the purest pinnacle of energy about to leap into midair. Launch off the lip and out into midair himself, weightless and detached. Free fall twenty feet, then re-connect down the face with a thousand tons of exploding power right behind him. Hard gouging turn and once again shoot out and up across the open face, this time towards a finale of mindless release. Laine and Rowe came up outside of Bruddah to establish direct visual with Larson and witness the epitome of modern surfing’s potential. The wave was now halfway through its course. With a smile and a nod, Larson acknowledged the friend who made it all possible. Bruddah gave him a quick chaka with one hand and rolled on a bit more power with the other before pointing back to Laine and Rowe. Larson saw them and let his mind wander towards ego and performance. It was but a fleeting thought and he easily brought his focus back to himself to re -engage with the flow of his mind without any intrusions from the outside world. He turned back into the heart of the wave for a final moment alone as the wave curved towards the entrance to the lagoon. Inside the tube for just an instant, Larson felt the energy dissipating and let his thoughts find equal rest. He emerged, and the wave was gone. Heath Larson let his mind go where it always went after a great wave, conscious that all he knew only moments ago was gone forever and yet was waiting for him all over again, surfing in a realm all his own where the reality of time inside the wave became an absolute and centered experience. Then he snapped out of it, like he always did, when Bruddah was right there to meet him. Within seconds they were headed back out to the other end of the reef to do it all over again. Victor and Tina Sanchez watched Larson from the cockpit of the Skyhook and were more than impressed by what they saw. Victor Sanchez watched Larson and Bruddah reach the southern end of the reef. He got out his binoculars to zero in on them, and immediately saw that the horizon behind them was no longer a sharp line. He glanced at the weather radar screen on the control panel in the PBY’s cockpit. Across the southeast quadrant, a well defined form had appeared. It was a squall line, and from its shape he knew it was generating extremely fierce winds pushing ahead of the wall of rain. The sea was glassy and smooth all around the Skyhook , but Victor Sanchez knew it was the calm before a storm. He flipped the intercom switch. As the voice echoed throughout the fuselage over the intercom, Sonnyboy Noaloa and Aleja Gracellen looked at each other in disbelief. Mercante and Owens stopped helping the surfers with their vests. He looked at Roberto Mercante, but the millionaire surfer was for once at a loss for words. Not so Aleja Gracellen, who always had her wits about her. Bruddah turned away from the on-coming wave before Heath was in exactly the right place, figuring Heath would know exactly why the run was being aborted. He did, but his focus was on the wave, his last wave, and he didn’t take his eyes off it. He kept the pressure on his board to increase the speed of the whip. He was living for nothing but his next ride, so far into his instincts that he was out of his mind, and yet in total command of his chosen reality. When he knew he had all the speed he needed, he let go of the towrope and sped towards the forming peak. Bruddah felt the waverunner engine race and looked over his shoulder. He saw what Heath was doing and knew there was no stopping him. He let off the throttle and got on the radio. The ocean had turned to sheet glass. The waves were now a little bigger, with almost perfect shape. Bruddah and Laine turned to watch Larson maneuver perfectly into the peak. Then Bruddah noticed his waverunner roll awkwardly as a small swell came across the ocean’s surface. He looked over and saw the same thing happen to Laine and Rowe. He glanced at Larson about to catch the wave when his waverunner bobbled again. He quickly realized the squall was sending out cross-swells on a different wavelength – and they were much stronger than the chop from the trades. His heart was pumping and the wave was building but his mind was far away inside a closed system of thought detached from the full spectrum of life around him. Deep fading turn to the far side of the building peak. Sharp turn back and up into the very highest pinnacle of the wave. Pause, then aim straight down to the triangle of white water marking the detonation zone. Behind him vertical liquid rising ever higher to meet the reef. Ahead of him the base of power. Slight adjustment to his left into a perfect turn to the right and into the curved wave space arching over like a cathedral dome . Heath Larson entered his church and disappeared. Out of the tunnel immediately in a blur of orange and yellow only to hairpin turn back into the huge tube. This time he remained inside. All around him, a liquid sphere thirty feet in diameter spiraled and exploded. He adjusted his weight slightly and slowed his speed to match that of a universe his and his alone. He saw nothing ahead except the horizon running up into the wall that curved into the transparent roof far above his head. He was exactly in the moment with nothing to do but stand there and let his mind run free. For almost ten seconds Heath Larson was motionless at thirty miles and hour. The wave began to feel a new part of the reef and responded with newfound momentum. Larson was ready for the change. His frame of reference, the open mouth of the tube framing the outside world, became ever more distant ahead of him even as he raced towards it. The inverse relativity of the moment enveloped his senses, and for Heath Larson, time stood still. Bruddah was out on the rolling shoulder of the wave. He looked back for a second, but the angle prevented him from seeing his friend. Then a sudden wave about two feet high hit his waverunner coming out of the southeast. Seconds later it was followed by another almost twice as big. He almost lost control, but he recovered in time to gun the engine and leap over the next cross wave, almost five feet high. He realized what was happening, and for the first time ever he felt a deep anxiety about his old friend. But Heath Larson felt nothing. His detachment was complete. All he knew was in and of himself. He was in control. He felt fully alive. He was exactly where he wanted to be: apart from the world and in his own reality. The cross swells moved towards the heart of the wave, rippling across the face and changing the beautiful curves into broken chaos. Larson was so far back in the center of the tube he couldn’t see what was happening. His ultimate freedom was about to become a disastrous trap as the symmetry of the world he trusted was instantly destroyed. He barely felt the first cross-swell as it passed under his board. He paid it no heed and plowed through the second one with sheer mindless strength. Then the horizon disappeared from view as the next cross-swell completely transformed the wave, and the perfectly curved wall of the open tube ahead of him became a closing hemisphere of energy from which there was no escape. The huge tunnel collapsed on itself and exploded in all directions. A cloud of spray was violently expelled fifty feet in the air. White water avalanched into a grotesque maelstrom. The wave seemed to pause in a moment of stasis before its forward momentum added more energy to the churning cauldron of seemingly limitless power. The men on the waverunners waited for the world’s best big wave rider to appear, but deep instincts of dread told their hearts he wasn’t coming out. And there was nothing they could do about it. Heath Larson was driven straight down through twenty feet of water in less than a second. His mind did not register a thing until the fins of his board were driven into the coral, followed by the board itself, and immense pressure forced him to his knees . Only then did he snap into awareness of his true reality when he realized he was thinking about what to do. He was strapped to the board. The board was impaled on the reef. In the snap of a synapse he knew there was nothing he could do, but it was too late to even admit that he was no longer in control. His mind broke free of its logic. An involuntary gasp and his mouth, throat, and esophagus filled with water. He couldn’t expel it. His lungs convulsed. His heartrate tripled. The water around him calmed down, but he began to struggle, not able to breathe, not able to think clearly for the instant it would have taken to reset his mind with the logic of survival. Then he heard rumbling white water coming toward him. Then he heard nothing when the next wave came down hard and exploded his eardrums. His body went into fight or flight panic. He could do neither as the final wave of the set sealed his fate. The float vest strained to bring him to the surface, but the foot straps held. There would be no release. He lost mo tor control of his body and his eyes rolled back in his head. His last conscious moment was strangely one of pure bliss. Foam lay almost three feet thick on the slowly calming surface of the water. The waverunners could not go through that any more than a car can go through liquid mud. Even if Larson had come up, it would have been next to impossible to dart in and get him before the next wave bulldozed through the impact zone. Bruddah, Laine and Rowe watched the second wave of the set roll over where they’d last seen him, but they didn’t panic. With Bruddah’s experience, Rowe’s EMT knowledge and Laine’s mastery of big wave rescue, they were fully prepared personally, and the personal locator beacon system gave them all the advantage they needed. But when Laine glanced at his display screen, he saw nothing. He pushed the reset, and got all the data about the waverunner, and then pressed the button to bring up the locator grid. Nothing happened. The Hawaiian looked at his screen, saw nothing, reset the display, and got the same results as Laine. Victor Sanchez heard the distress call, and his heart stopped. He’d ordered the crew to prepare for takeoff. He’d told Clark to get ready to leave immediately. Clark did, and turned off the system. The worst case scenario for a big wave wipeout was unfolding to the horror of the three men on the waverunners . The last wave of the set followed through twenty seconds later. They would have to wait for the foam to dissipate before beginning search and rescue. Randy Laine began thinking fast. They had almost a mile of reef to deal with, and Larson could have been swept along by the wave that had eaten him, as well as the next two. And then there was the constant current from the motion of the giant waves. It was exactly why they had deployed the locator system, and now when it was needed most, it wasn’t there. They only had a few minutes before the next set, the waves from the squall were getting bigger, and the wind was starting to come up. He ran through every scenario in his considerable experience within a few seconds and then took action as the last wave of the set rolled through. Bruddah took off. Then Laine remembered what had happened to Mark Foo at Mavericks. He had not come up because his board wedged itself into the undersea rocks and he had been unable to release his leash. Larson was not wearing a leash, but he was strapped to his board. Laine also remembered what had happened at Todos Santos when the rescuers had been unable to find the downed surfer because they overreacted in the tension of the moment and went searching without a plan. So he and Bob Rowe waited the longest minute of their lives as the last wave of the set rolled through, waiting for the thick foam to dissipate sufficiently, so they could make headway without the waverunner stalling out. Rowe took the opportunity to detach the steadicam from his chest and remove his the helmet. He stowed the camera unit in a compartment, but the helmet wouldn’t quite fit, so he strapped it loosely around a handhold. Then he positioned himself on the rescue sled and got ready to pull Larson aboard. Laine turned towards the reef and went in slowly, looking down into the depths but unable to see much at first in the flat light of an overcast day. But the water was as clear as any on earth, and within seconds Laine’s instincts paid off. Rowe peeled off his orange safety vest, threw it out of the way and dove overboard. Randy Laine spoke into his headset. The wall of rain and wind was fast approaching the south end of the reef. A mile away, the Skyhook was taking off under maximum power headed north. Victor Sanchez was pulling her up fast while Mac Owens was controlling the throttles to redline the engines while making sure they didn’t blow up. Tina Sanchez was on the radio trying to raise Tahiti air control. In the cargo bay, Randy Laine was administering CPR to an inert Heath Larson. Bob Rowe prepared the shock paddles of the defibrillator. Bruddah held the hand of his best friend. In the ‘sunroom’, Aleja Gracellen and Sonnyboy Noaloa were sitting across from Ian Clark and Roberto Mercante. They were not looking out the canopies as another set of huge waves roared out of the storm and exploded on the reef. They were not looking anywhere except inside their hearts with their heads bowed in prayer. Pioneer Hot Curl Surfer, Activist and Decorated Naval Seaman John Kelly has passed on. Wally, George & John. Image courtesy of Gary Lynch. Click to Enlarge. That he founded a grass-roots environmental group responsible for saving 140 surf sites on O'ahu. But there was one thing that Kelly, who had Alzheimer's for nearly two decades, could never forget: his love of the ocean. Even just a few months ago, Kelly, lanky and nimble, would swim back and forth in the saltwater pool near his home at Black Point. It was this passion — for the ocean, for human rights, for environmental causes — that people will remember. Kelly passed away quietly and peacefully, his family said, in his bed on Wednesday afternoon, his 64th wedding anniversary. He was 88. "He was probably the greatest humanitarian I've ever met in my life, and I've looked around," said longtime friend and fellow surfer George Downing, 77. "You couldn't buy John, you know what I mean? And people tried. You just couldn't budge him." Kelly was widely known for two things: surfing and saving surf breaks. His ocean-based environmental group Save Our Surf, founded in 1961, fought to prevent offshore development around the Islands that would have destroyed reefs, surf sites and other ocean resources. "I can't imagine what this place (Hawai'i) would be without him," Downing said. These activists helped thwart the state's plans for a proposed reef runway from Wai'alae to Hawai'i Kai, a beach-widening project in Waikiki and evictions of families on Mokauea Island, which later became a historic site. "He was a pain in the neck sometimes, but I had to admire the guy because he was a leader in protecting and preserving the greatest natural resource we have here," said Bill Paty, 86, chairman of the state Department of Land and Natural Resources from 1987 to 1992 and longtime surfer. "He was willing to go to the mat with anybody. ... I tip my hat to him. He kept us on the right track." Kelly was born on March 3, 1919, in San Francisco, the only child of artist parents. His father, John Melville Kelly, earned acclaim for his etchings of Islanders and for his designs on the menu covers of the Royal Hawaiian Hotel. His mother, Katherine Harland, was a noted sculptor. The family moved to Honolulu in 1926, then built a shingled cottage at Black Point that overlooked the ocean a few years later. Kelly was 9 years old when he got his first surfboard, a 7-foot redwood plank shaped by David Kahanamoku, Duke's brother. Nine years later, in 1937, Kelly had the idea to streamline the tail section of the board he was riding to have more control in bigger waves. He and friend Wally Froiseth took an axe to the rear end of another friend's wide-tailed plank, narrowing the tail section and carving the planing surface into a rounded hull. The result was a new design called the "hot curl." It's credited as a development that led to the start of big-wave surfing. Not soon after did he find a spot perfect for this new kind of board. While spear-fishing and camping along the Wai'anae Coast, Kelly discovered the waves at Makaha, which, 10 years later, was the site of Hawai'i's first international surfing meet. 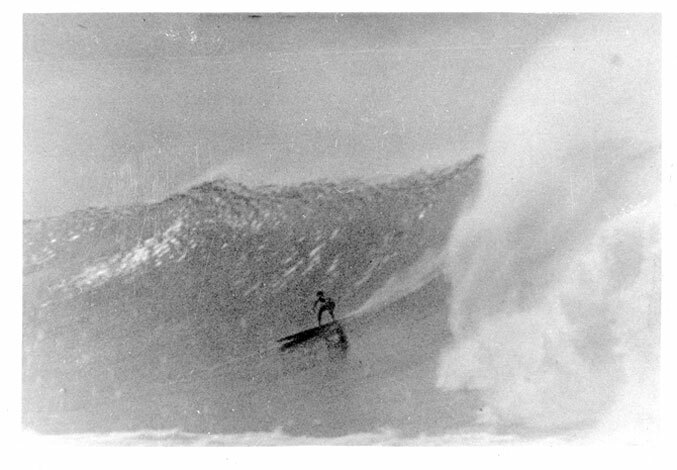 "I remember seeing John surfing at the point at Makaha," said Fred Hemmings, 61, a state senator and former world surfing champ. "There weren't many people surfing out there then. ... And as with most surfers in those days, (Kelly) was iconoclastic. He was a man who definitely did his own thing." One of the more memorable contributions to surfing — even if it never caught on — was Kelly's hydroplane surfboard, created in 1963. He got a patent on the strange design, which combined the speed of a longboard and the maneuverability of a shortboard in its slightly raised tail section. The hype lasted for a couple of years; now these rare boards are worth more as vintage collectibles than functional surfboards. "It was a crazy board," Hemmings said, laughing. "But it showed some real innovation. Even though it wasn't functional and it never caught on, in a curious way it was illustrative of his character. He was an out-of-the-box thinker, an innovator." Though Kelly surfed well into his 70s — most often at Black Point — his life wasn't solely defined by his love for the waves. After graduating from Roosevelt High School, Kelly earned a bachelor's degree in music from the prestigious Juilliard School in 1950. "Our parents gave us so many opportunities to experience different kinds of art and music," said his daughter, Kathleen Kelly, 58. "I remember being a little girl, half-awake at these late rehearsals and watching him get these people to sing. ... He was used to getting people to work together, to connect." Kelly was also a decorated sailor who witnessed the Japanese attack on Pearl Harbor in 1941, even helping to pull people from the water. In 1944, Kelly, a skilled free diver, earned a Navy and Marine Corps medal of heroism for voluntarily retrieving submerged torpedoes off Kaho'olawe with just his goggles and a gulp of air. He told a reporter at the Chicago Daily News War Service that "any Islander could have done it." 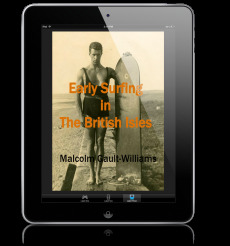 He also wrote books, most notable "Surf and Sea," 304 pages covering nearly every aspect of the sport. It was published in 1965. Not to mention, he self-printed all the fliers, posters and leaflets for Save Our Surf on an antiquated printing press in his basement that would run all hours of the night. "I used to sleep in the room above (the basement)," Kathleen Kelly said. "And it would be running until 3 or 4 a.m. Clickety-clack, all night long." Though a World War II veteran, Kelly was an outspoken opponent of nuclear weapons, to the point it allegedly cost him his job at Palama Settlement. In 1959 he served as a delegate to the Fifth World Conference Against Atomic and Hydrogen Bombs in Hiroshima. He considered it a "privilege and a duty as an ordinary American citizen." "Good for him that he spoke against that racism, that arrogance, that insanity," said Kathleen Kelly, who inherited her parents' activism and was arrested at a Vietnam protest in 1967. When she called home from jail, her parents responded, "Good for you," Kathleen Kelly said, laughing. "That's the kind of parents they were," she said.